During the winter of 1839 – 1840 Draper continued experimenting with the new photographic process and captured the first known photograph of the moon, launching the age of astronomical photography. For his first effort, Draper made the moon’s rays pass by the reflection of a heliostat through a lens four inches in diameter and fifteen feet in focus. His allotted exposure time of 30 minutes, however, proved too long, resulting in a partially blackened, overexposed plate. 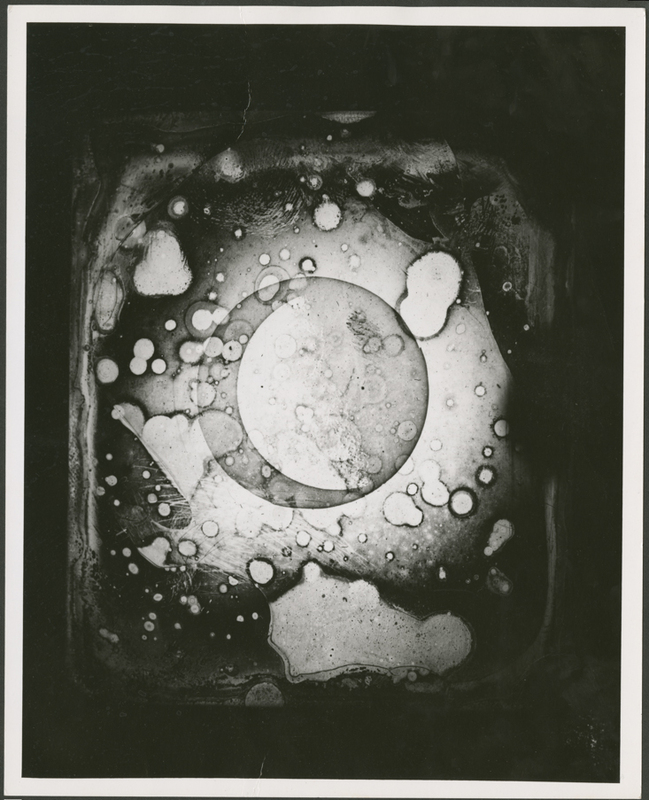 Draper succeeded in capturing another image of a seventeen-day-old moon by using two lenses and exposing the plate for 45 minutes, resulting in a more distinct, detailed daguerreotype of the moon’s surface. 2 Draper’s continuing efforts with astrophotography from his rooftop observatory at NYU’s main building resulted in his announcement of March 23, 1840 to the New York Lyceum of Natural History of his success in capturing a detailed, realistic view of the moon. Draper then returned to his observatory at NYU to continue his experiments in lunar photography. On March 26, he captured a mirror-reversed image of the last quarter Moon resulting in a highly detailed lunar daguerreotype. Draper then exhibited his moon daguerreotype at the New York Lyceum of Natural History on April 13 to considerable acclaim. 3 Illustrated below is the daguerreotype image believed to be the one Draper developed on March 26, 1840 and exhibited on April 13. 1. Robert Taft, Photography and the American Scene: A Social History 1839 – 1889 (New York: Dover Publications, 1964), p. 17-19. 3. The Journal of the British Astronomical Association, Vol. 90. Eighty-Ninth Session, 1979 December to 1980 October, edited by Colin A. Ronan. Mirror-reversed Image of the daguerreotype attributed to John W. Draper, believed to have been taken March 26, 1840 from his rooftop observatory at New York University (at Wooster and 4th Streets). Thanks for the comment, and kudos on the article–super fascinating!